Check out our carefully selected range of Nomex fireproof underwear (tops, balaclavas, socks and bottoms) designed for Motorsport from Walero, MOMO, OMP, Sparco and Alpinestars. Nomex is a light, breathable and fireproof material mandatory in all FIA Motorsports approved race suits, gloves and underwear. It’s especially vital in your top, bottoms / long johns and balaclavas. Really good racing underwear is exceptionally breathable, helping the driver to keep as ventilated and cool as possible. Walero’s range of breathable gear and Sparco’s X-Cool range are especially effective in hot conditions. 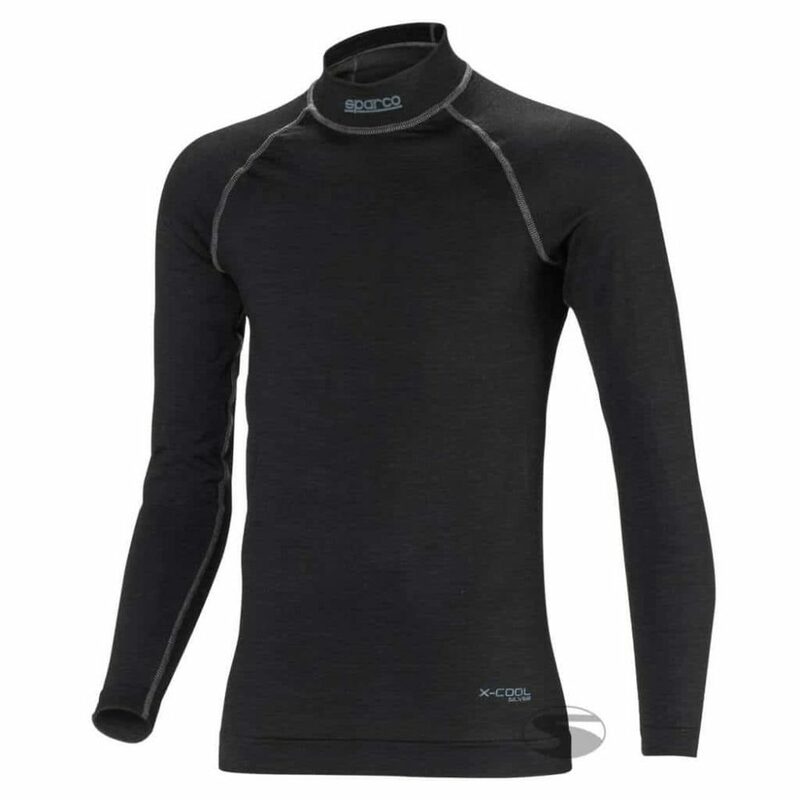 Driver61 recommends: Sparco’s Shield RW-9 long sleeve top. We use a lot of Sparco Fireproof Underwear at Driver61 – Sparco’s range is excellent for cooling and well priced.